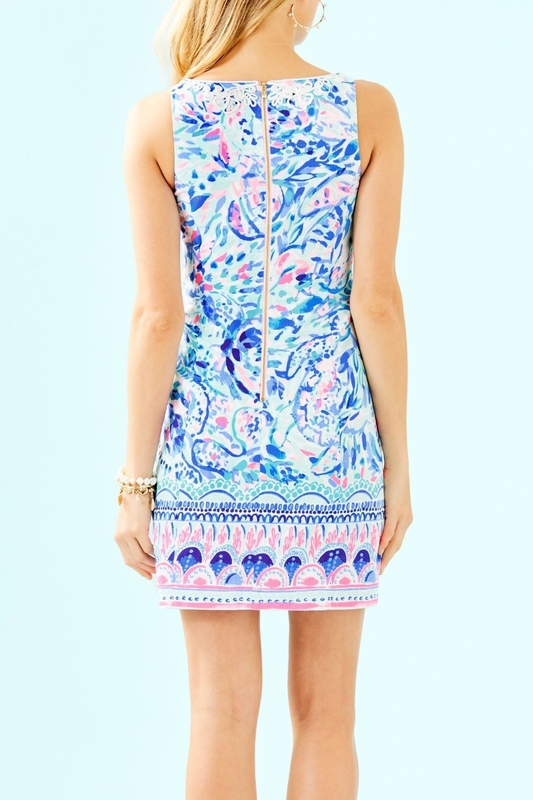 The Gabby Shift is a quintessential Lilly dress and a must-have for your collection. 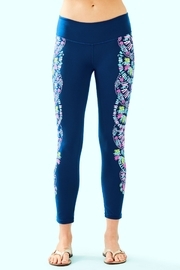 The straight fit and bra-friendly design make it a classic style for any occasion. You've got the hook-up: built-in lingerie snaps make this dress bra-friendly. A girl needs options: Enjoy an extra 1 3/4 inches of hem flexibility with this style. Wear as-is or let it out for some extra length. •Straight Fit, Bra-Friendly Shift Dress With Cording At Neckline And Exposed Back Metal Zipper. 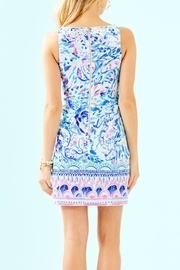 •35" From Top Of Shoulder To Hem. •Length: Above The Knee. •Vintage Slub (80% Cotton, 20% Polyester). •Hand Wash Cold.Separately. •Imported.